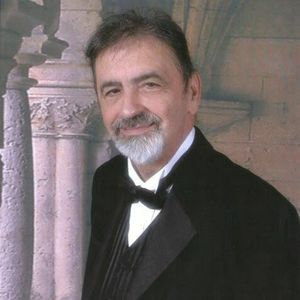 Stephen Doucette, 70, passed away on Wednesday, June 7, 2017 after a lengthy illness surrounded by his family. Stephen was born on February 20, 1947 in Boston to the late John and Mary (Sawyer) Doucette. Stephen was the loving husband of the late Kathleen Ann (Burke) Doucette and resided in Reading for 40 years. He leaves behind 5 children: Thomas Doucette and his significant other Jennifer Allen of Peabody, Gregory Doucette and his wife Jen of Peabody, Stephanie Peterson and her husband Chad of Wilmington, Alison Doucette of Methuen and Jeffrey Doucette and his wife Kaitlyn of Dracut. He was the devoted grandfather of Colin and Ciara Peterson and Macy, Chase and Reece Doucette. He was also survived by his brothers John Doucette and his wife Kathy and Philip Doucette and his wife Candace and many nieces and nephews. He also leaves behind his longtime companion Lucy Guilmette. Funeral services will be from the Doherty-Barile Funeral Home, 11 Linden St., Reading on Wednesday 9am followed by a funeral mass celebrating Stephen's Eternal Life at St. Agnes Church, 186 Woburn St., Reading at 10am. Family and friends are cordially invited to gather and share memories at the funeral home on Tuesday from 4 to 8 pm. Interment will be in Charles Lawn Memorial Park, Reading. In lieu of flowers, memorial donations may be made in Stephen's Memory to the American Diabetes Association, 1 Joslin Pl., Boston, MA 02215. 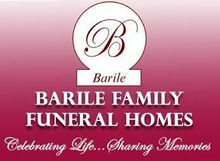 For further information please visit www.facebook.com/BarileFamilyFuneralHome.